I hope you have been enjoying our Back to the Basics series. We’ve been learning about things that apply to our daily walk with God. Just a recap if you are reading Christian Life Magazine for the first time. 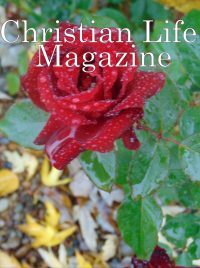 The first month (September 2018 Issue) we talked about the importance of having a daily devotional time to connect to God. Last month we learned about faith and how important it is. This month we are going to talk about serving and how it operates in the local church. I encourage you to get your Bible and a notepad, as you may want to write some of this stuff down. The act of serving puts you in a humble position! The world says that life is all about you. Do what makes you happy. Do what makes your bank account grow. Climb that corporate ladder, knocking off whomever gets in the way. Let’s now compare what Jesus says in Matthew. In Matthew chapter 19, we are going to read verses 16 through 30. Let’s take a moment to examine this a little. This is powerful! I want you to understand the latter part of verse. Servant-hood is equivalent to trusting Jesus with everything. Trusting in Jesus is often difficult. However, it is a must. It goes back to what we talked about last week, faith. Even Jesus Himself learned how to trust God. Let’s look at what happened in the Garden of Gethsemane. Verse 39: “He went on a little farther and bowed with his face to the ground, praying, “My Father! If it is possible, let this cup of suffering be taken away from me. Yet I want your will to be done, not mine.” Then he returned to the disciples and found them asleep. He said to Peter, “Couldn’t you watch with me even one hour? Keep watch and pray, so that you will not give in to temptation. For the spirit is willing, but the body is weak!” Then Jesus left them a second time and prayed, “My Father! If this cup cannot be taken away unless I drink it, your will be done.” When he returned to them again, he found them sleeping, for they couldn’t keep their eyes open”. Jesus, who is fully God and fully man, was struggling. He did not want to die that horrible death which was fast approaching Him. Jesus Christ is the ultimate servant. His record is impeccable, and He will never let you or me down. Romans 15:7-8: “Therefore, accept each other just as Christ has accepted you so that God will be given glory. Remember that Christ came as a servant to the Jews to show that God is true to the promises he made to their ancestors”. Philippians 2:5-11: “You must have the same attitude that Christ Jesus had. Though he was God, he did not think of equality with God as something to cling to. Instead, he gave up his divine privileges; he took the humble position of a slave and was born as a human being. When he appeared in human form, he humbled himself in obedience to God and died a criminal’s death on a cross. Verse 9: Therefore, God elevated him to the place of highest honor and gave him the name above all other names, that at the name of Jesus every knee should bow, in heaven and on earth and under the earth, and every tongue declare that Jesus Christ is Lord, to the glory of God the Father”. Being a servant will help you learn where your heart truly is. Proverbs 4:23 says: “Guard your heart above all else, for it determines the course of your life”. Our hearts are naturally wicked. Jeremiah pegged it when He said this in Jeremiah 17:9, “The human heart is the most deceitful of all things, and desperately wicked”. Who really knows how bad it is? One of the ways I believe we can keep our heart under check is to serve. Serve your neighbor, serve your family, serve your church, and even serve your community. God will reward you as you begin to serve each other. Why? Because you are ultimately serving Him. Next month I’m going to finish this 4 part series. We are going to discuss the importance of tithing to your local church. My family and I would like to say that we hope you have a Merry CHRISTmas and a blessed 2019!!! Please contact me as I’d love to hear from you!